Claire Williams with her dog, Lucy the Mermutt. Photo by Collin Richie. It’s not every day you meet a dog who has been featured on billboards around the world. But after hanging out with Lucy the Mermutt for an hour, you’ll quickly realize why the local 120-pound golden retriever is so lovable. Claire Williams bought Lucy in 2012 after her childhood dog passed away. She saw an ad for golden retrievers for sale in Florida. She instantly fell in love with Lucy’s red fur coat. “When I went to look at the puppies, my mom said, ‘Make sure you get one with personality,’” Williams says. When Lucy was 2 years old, Williams noticed she was interested in water. Lucy seemed determined to get her feet wet. 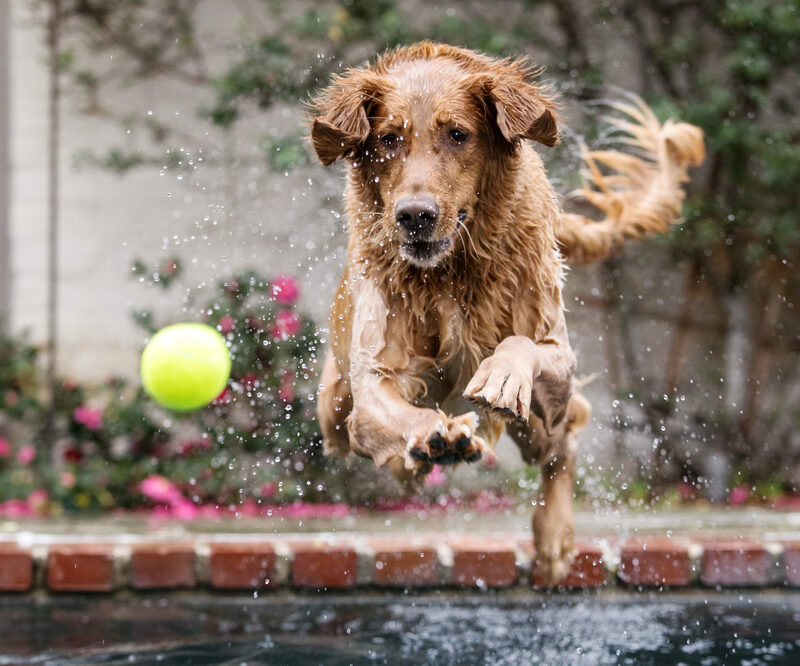 She started diving into Williams’ Bocage backyard pool to fetch golf balls. Soon, Williams began photographing Lucy on her iPhone or GoPro camera. 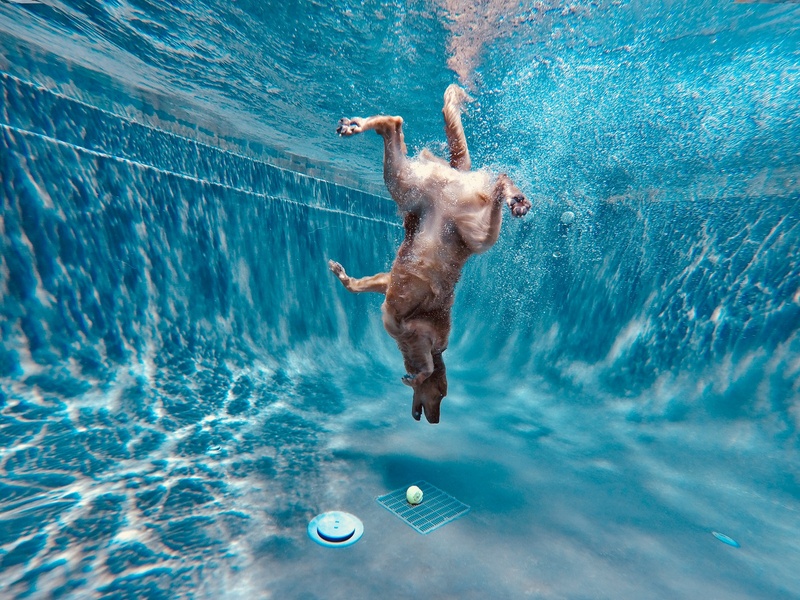 She shared her whimsical underwater action shots on Instagram. To her surprise, one of her “Mermutt” shots was picked up by Apple Inc. in 2017. 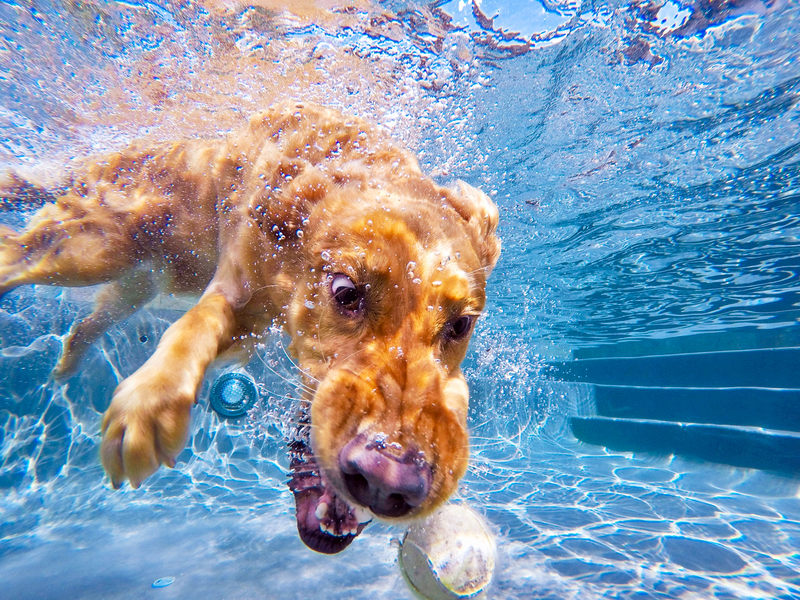 The photo—shot on an iPhone 6—was published in a summer iPhone campaign and splashed across billboards. Lucy’s face smiled down at commuters everywhere from London to Tokyo. Williams’ dog was named after Lucy from the 1950s sitcom I Love Lucy. Both the dog and the TV show character share red hair and a stubborn but playful attitude, Williams says. 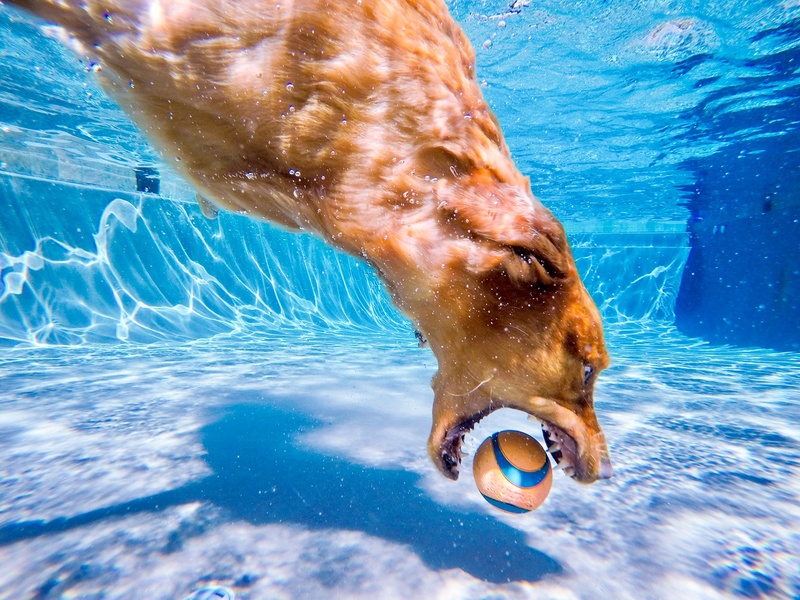 Now, the happy-go-lucky pup jumps at the chance to dive in the pool for toys during her photo shoots. The fun images have garnered Lucy more than 4,000 followers on Instagram. She was named “Good Dog” of the year by Garden & Gun magazine in 2015. When she’s not dog paddling through the water or posing for photos, she enjoys laying down inside with the air conditioner blowing or running around her spacious yard. What local pets are you friends with on social media? Tell us in the comments at 225batonrouge.com. *Editor’s Note: Charlie the doodle’s mom is 225’s own graphic designer, Melinda Gonzalez.